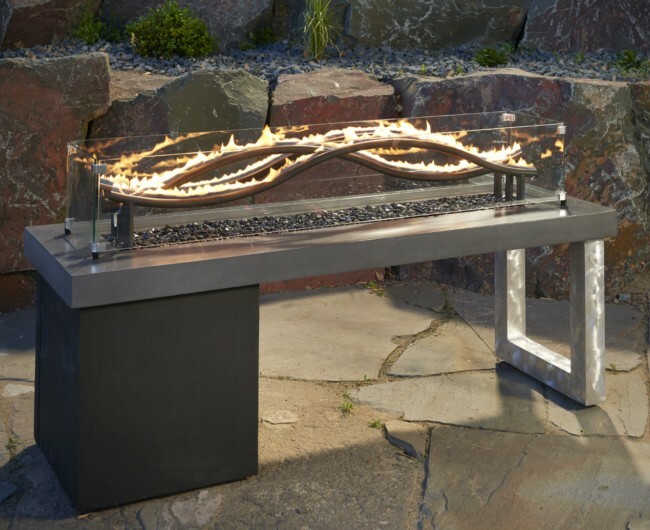 The Wave features three interwoven tube burners to create wave effect on a bed of onyx fire glass. The durable Polished Midnight Mist Supercast top, stucco base, and textured aluminum accent leg give the unit a modern touch. 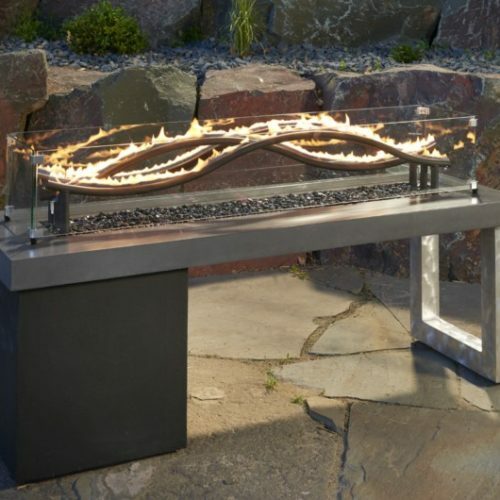 Each fire feature uses a black color coated tube burner system, is UL listed for safety and made of durable, outdoor rated materials. Recommended to run on natural gas or house LP.